Azerbaijan and Iran are preparing for the deployment of joint production of computer and telecommunication equipment, which is one of the key areas of cooperation between the two countries in the field of ICT, the head of the office of the Ministry of Communications and High Technologies of Azerbaijan Vidadi Zeynalov told Trend June 11. 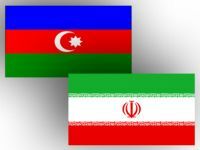 He said that the prospects for the deployment of co-production between the two countries will be discussed on June 15 within the framework of the visit of the delegation of the Ministry of Communications and High Technologies of Azerbaijan headed by Deputy Minister Iltimas Mammadov to Iran. Cooperation between the parties in the fields of broadcasting and satellite communications will be also discussed within the framework of the meeting, he said. “The management of Azercosmos OJSC will hold talks with the Iranian side on the issue of using the resources of the telecommunications satellite Azerspace-1 for the broadcast of Iranian television and radio channels,” said Zeynalov. Earlier, the Iranian side expressed its readiness to consider issues of cooperation with Azerbaijan in the field of satellite communication, and this issue could become one of the key topics in the meetings of the joint Committee on Broadcasting, the document on the creation of which was signed in October 2014 in Baku.